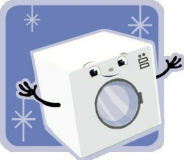 Would you like some help cutting down your laundry and dry cleaning costs? Register below to receive free weekly savings coupons to your email address! Rest assured, your email address will never be sold to given to anyone! We only use your address to send you your coupons or other money saving special promotion information. You can opt out at anytime if you wish to stop receiving your coupons or promotions. Use the link at the bottom of any email received from us to remove yourself from our mailing list.